This is the video for Lykke Li‘s song Little Bit. I remember seeing this a couple weeks ago but it didn’t stick right away. I probably came out of the video thinking that she was cute, sounded cuter, and had the lips that rich women die for. It was a reminder from her publicity company saying she was currently on the road and coming to Toronto this Sunday that got my attention again. She’s a 22 year old songwriter from Sweden who is currently touring to support her North American release of a four-song EP (Little Bit). Later on this year, we’ll expect to hear the full length (Youth Novels). The songs were produced by Bjorn Yttling of P,B&J and seem to capture a flourishes from a diverse world in cute pop music. 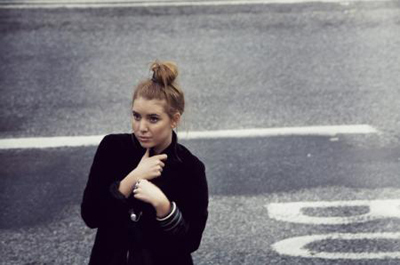 For fans of Feist, Robyn and Bjork, she’s breathy, addictive and an interesting listen. Check out Dance Dance Dance. Catch her Sunday night (May 11th) with El Perro Del Mar at The Mod Club. More tour dates on her myspace.